It all began in 1992 with the creation of the Vodka pizza at the Original Goodfella’s Pizza of Staten Island 1718 Hylan Blvd . The amazing creation was just an accident. There was some vodka sauce left over from a pasta dish at the end of the night and I decided to make a pizza with it. Of courses, I added some peas prosciutto and yes the homemade mozzarella . It was called the Scotty Pie my family named it that after me. Scot Cosentino it was a little bit funny having people ask for a Scotty pie so I nixed the name and went with the Vodka pizza! People were a little skeptical at first trying to get them away from the traditional fresh mozzarella pizza, but once they tried it they fell in love!! 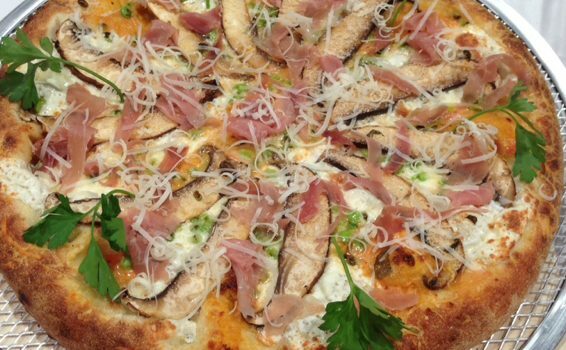 This pie won us a national award that year for the best pizza in America at the Jacob Javits center NYC . 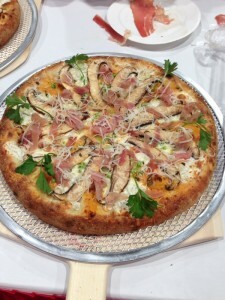 It also won several awards in Las Vegs Pizza Expo and several other national pizza concepts. So many people came to try and fell in love with the amazing original Vodka Pizza ! The Pizza has become one of our best-selling pizzas and still is until this very day. It also became famous just about everywhere and is now sold throughout New York , New Jessey and many other places in the country. It became the favorite pizza of Mayor Rudy Giuliani was a featured bet on World Series Baseball games with the New York Yankees was also wagered as Supper Bowl Bet against other mayors. This is where it all started back in 1992 and is still going strong. Whats the old saying? something about being copied is flattery ? Whatever it is. I say theirs nothing like the original !